What a great adventure! 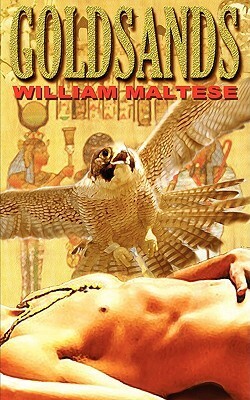 The setting in Egypt forms a vivid background to the developing persoal relationship between Gil Goldsands and Peter Donas that is not without its challenges. The past, an enigmatic sheikh and oil business machinations all try to interfere with the two lovers.I really liked the characters, even if both of them occasionally behaved less than intelligently. Their failings only made them all the more human. If you like an interesting plot in an adventurous setting in addition to your romance, this is a great book to pick. I enjoyed this book and its terrific setting. I was a little disappointed that Gil was so wishy washy in his romances. The action between Gil and Peter would have been much hotter if Gil was a little more agressive but hey passive gay men do exist. I thought the sheikh was truly the best character in the book. This book is a fast "beach" read but don't look for a deep plot. I loved this book! From what I know of egypt myself, that caught my attention. The back-n-forth between Gil and Peter is unreal! The sheik was also that nice wild card...loved how it ended! William Maltese - I've been in the business of writing books for a very long time, and I derive particular enjoyment from visiting different places and then trying to relay the "essence" of those places to my readers. Likewise, I'm very adventuresome regarding trying new things, whether it be exotic and strange foods and/or other more personal "things".